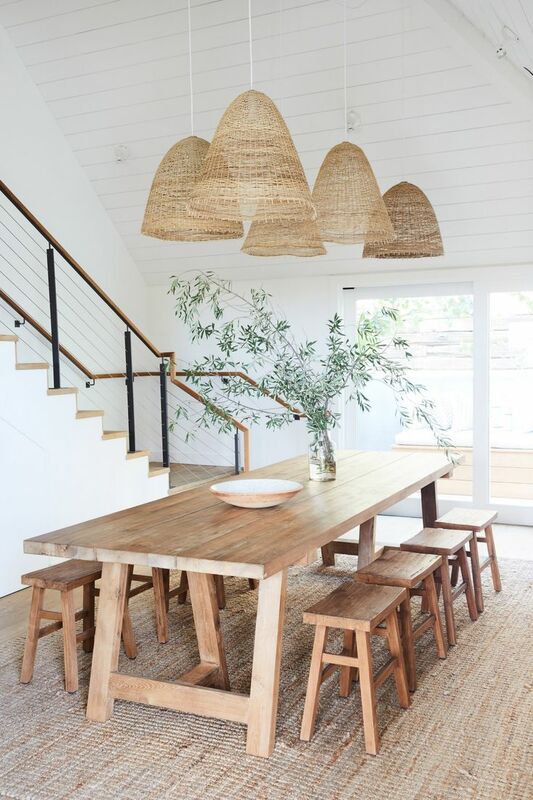 Dining rooms come in all shapes and sizes and levels of formality. They can be small nooks, part of a kitchen or formal rooms all to themselves. 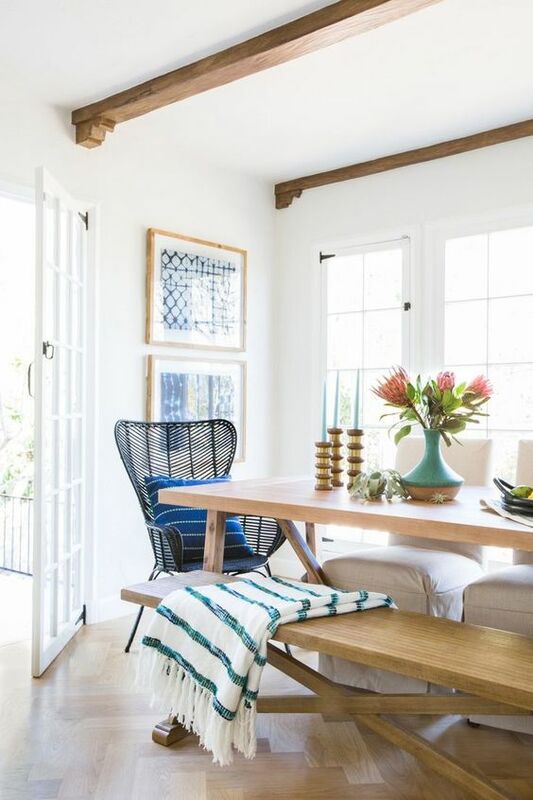 When many families today prefer a more casual space that feels more a part of the overall live space, it can be challenging to design a dining room that will actually get used. After just renovating our dining room a year and a half ago, my initial thought on the dining room was to carry over the same general design we already did in what is now the kitchen. 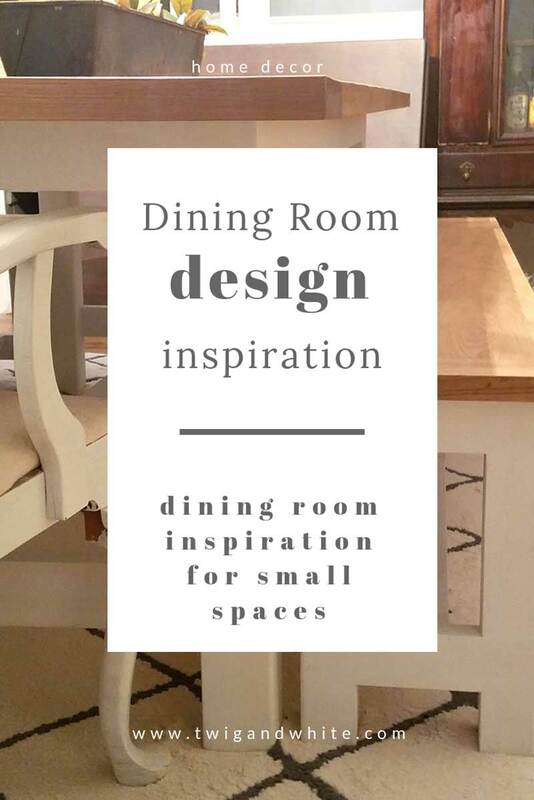 As the house renovation projects have progressed, and the new spaces begin to take shape, I’m beginning to go a different direction with my thoughts on the new dining room. The new dining room will be quite a bit smaller than the original room. It will also be more removed from the rest of the living space but it will have a pass through from both the kitchen and the main hall on the first floor. We will also be adding in patio doors that will open directly out onto our deck which I think will let in a lot of light. I’m most excited about this space for spring and summer but I really want to create a space that we will use more than once or twice a year. 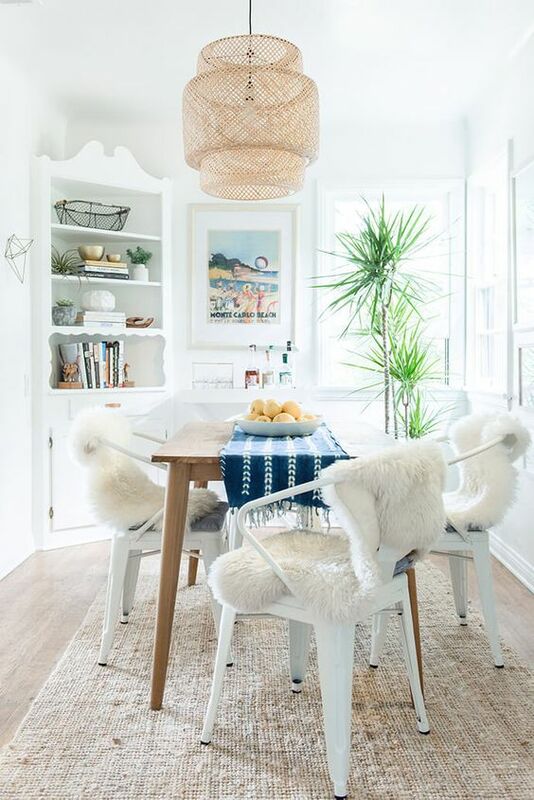 Even though the dining room will be the last space that we finish, I’ve been starting to put my thoughts together on what I want this room to look like and today I’m sharing some of the inspiration I’m using to narrow down my design choices. In general, I’m thinking of keeping the design simple and light. We initially thought of exposing the brick on the inside wall but when we found a hole in the brick where there was originally a window, I’m not sold on that idea anymore. I’ll keep the walls light and neutral and if there is room, I’m picturing built-in cabinets along the far end with open shelves above for added storage and display. I’m picturing a simple light fixture as big as will fit. I’m really loving the natural ratan designs that are popular right now but I’m keeping my options open for now. I’d really love to keep our buffet if it fits but the table and benches are staying if nothing else. Hello. Welcome to Twig & White. My name is Bethann and I’m a wife, mom to three basset hound rescues, a designer, business owner, blogger and creative. Twig & White is my fresh start, my place to inspire you to live your best life even when it’s not perfect. From home decor, organizing, personal style and business, I hope you find a happy place here. So grab and cup of coffee, sit back and get inspired. Looking for a way to organize your life or business? Get access to free monthly printables featuring calendars, planners and so much more!